Silvia Mezzasoma is a dancer, teacher and performer of Argentine tango, modern, ballet and contemporary. 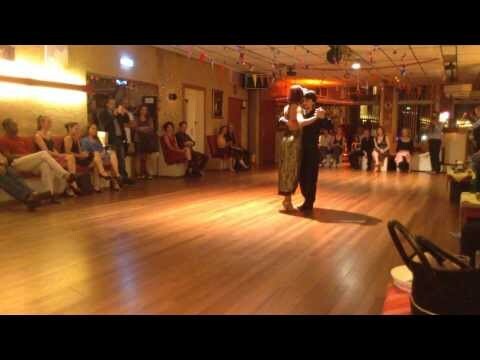 She moved recently to the Netherlands from Italy where she was teaching regular tango courses in Rome. She is currently teaching workshops in Italy and the Netherlands. She has performed as a tango dancer in shows and TV programmes, among them “Casting Tango…el Espectaculo” with Ezequiel Paludi and Geraldine Rojas, “Don Matteo”, “Ballando con le stelle”. Matteo Manferdini is a new promise of tango. Of Italian origins, he has been dancing tango for a few years in Amsterdam, where he studies intensively with Vanessa Fatauros. His tango merges traditional characters with a modern style keeping a particular attention to the musicality. His inspiring dancers are Gustavo Naveira, Sebastian Arce, Chicho Frumboli and Javier Rodriguez.